Home Starting a Photo Booth Business: Build or Buy? So you've decided that you would like to start a photo booth business. You know that they are a great business model that allows you flexibility and to participate in one of the greatest days in one's life, your wedding day! So now you are faced with the question "Do I build or buy my photo booth"? This is a very important question that must be given careful consideration. A true self assessment can be very beneficial when making this decision.Consider the following. You are preparing to make a large investment of both time and money and you want it to succeed. To succeed you need to have a professional appearance that presents you in the best light possible. Consider, every time you run your photo booth at a wedding you are selling your services. What? Yes every event is a pitch for your next event. 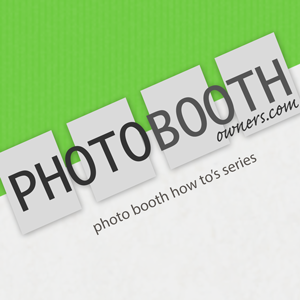 This means that you want your booth, software, prints, personnel and actions to appear in a professional manner. Keep in mind that this is really just a starter set of questions, but they should pretty quickly shed light on what you should consider doing. 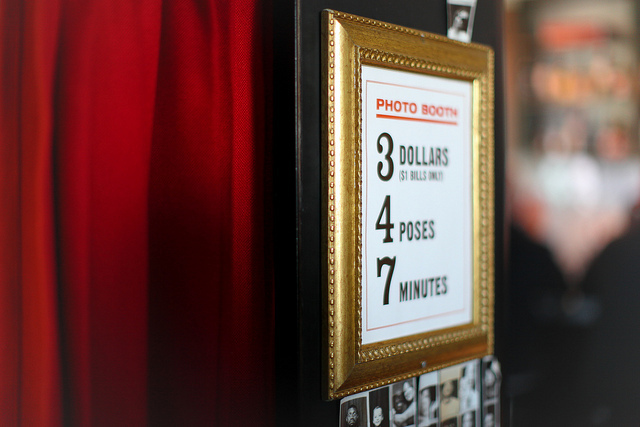 For most purchasing a photo booth will make the most sense. Even at that you can have many options such as simply purchasing the shell and putting in your very own electronics and software. Or you can buy the whole enchilada booth, electronics, software, support, etc. I would like to quickly discuss hardware considerations when selecting a booth manufacturer. You might be wondering what decisions can I possibly have to make a photo booth is a photo booth? Right? Wrong! First let's discuss the enclosure. There are many form factors that today's portable booths can take. Some are complete booths, some are a tower with a pipe and drape setup, others are open air, while some are equipment cases with electronics. How heavy is it? Do I need a dolly or cart to move it? Booths can range from 50-60 lbs to 700+ lbs. Don't be afraid to ask if it is not written in text. Is it made of durable materials? Your photo booth will take some abuse over the years as you move to and from all the weddings you will be attending. The cameras you use in your photo booth can make the difference when potential clients are evaluating competing services. I recommend you run the very best equipment that you can. For cameras this means running D-SLR (Digital Single Lens Reflex) cameras. Based on software out there Canon has a clear advantage as almost all packages support them whereas Nikon is hit and miss. Either will produce great, clear photos . I will not be discussing webcams, they do not produce an adequate image in my opinion and therefore are not viable option. Since the original writing of this post there has been a lot of progress in non-DSLR technology. Most remarkably is the front camera on the new iPad Pro. At this year's Photo Booth Expo it was definitely a coming out party for iPad based systems. There are now a number of excellent apps on the market with slick features that many of the Windows based software do not have. There are also some very professional builds such as the Mobibooth Aura™. The top vote getter in the PBN Best Booth of 2017 awards. These Mobibooth Aura™ and others similar are ultra portable photo booths that can run off of batteries only. The provide great lighting and are a fun refresh to the market place. 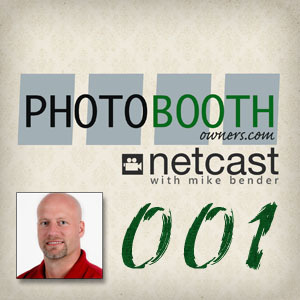 Like your camera your printer is a differentiator and arguably your most valued asset. If your printer is down your client's guests are not having fun. A couple things to consider when choosing your printer is reliability, cost-per-print, capacity, speed and supply chain. Each of these will affect your business in some manner or another. While I have a future post planned to detail choosing the right printer for you I am going to quickly touch on each of the aforementioned points. Dye-sublimation printers (http://en.wikipedia.org/wiki/Dye-sublimation_printer) they are reliable, predictable and fast. They are the choice of photo kiosks around the world and they are the defacto choice for photo booth operators. Here are a few reasons why you to want a dye-sub. Price-per-print, they are typically between $.12 and $.17 per 4x6 print. While there are inkjets that claim this same price point there is one big difference, predictability. You dye-sub will have a large capacity of 400 and 700 prints and unlike an inkjet your dye-sub will produce this number every time. They are highly reliable, in fact in 3 years I have had one paper jam and that is the only time an attendant has touched one outside of changing the paper. There is a nice supply chain available for their consumables. As you can see there is a lot to consider when deciding to open a photo booth business and we have only touched on the hardware and software considerations. I will be outlining each of these in much greater detail in future posts. There is also the consideration of operating as an independent or joining a franchise. Let us not forget there is also the whole business side of things. Pricing, costs, insurance, legalities, etc. There really is a lot to consider and I will try to help walk you through a lot of these items here.